QR codes (short for Quick Response as they can be read quickly by cell phone) are used to take a piece of information from a transitory media such as a URL and read into a cell phone—iPhone or Android. Used for over a decade in Japan, they are becoming more popular in the United State as a means of quickly driving people to a website where more detailed information may be stored. At Penn they are being used in advertisements, on transit stops, posters and even our Move-In T-shirts. The reason why they are more useful than a standard barcode is that they can store (and digitally present) much more data, including url links, geo coordinates, and text. The other key feature of QR Codes is that, many modern cell phones can scan them. 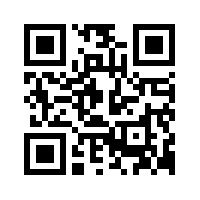 In order to read a QR code, you need to download a bar code reader application into a cell phone. It is a quick and easy process for someone with an iPhone or Android phone to find and install a reader. To generate a QR code you need to visit a site that generates these codes. There are many QR code generating sites on the internet which offer everything from simple, free QR codes to those that not only generate the codes but also allow you to track the number of hits you receive. For more information on how QR codes are being used at Penn click here. Below is an actual QR code being used by PennCard.